You would like to find the natural taste of taurine in a can for a red bull vape juice ? On its own or in recipe, this DiY energy drink between bubble gum and strawberry candy brings a muscular vape ! What are red bull ingredients? Red Bull is a mix of caffeine, taurine, sucre, vitamines B et eau. What does Red Bull taste like? Red Bull drink is a unique flavor, between strawberry candy and bubble gum. What is this Energy Drink flavor ? A natural flavour, the taste of the famous drink in a can ! Unmatched flavor for a muscular and "energetic" vape, one of the best red bull flavors ! How to use this liquid Red Bull ? 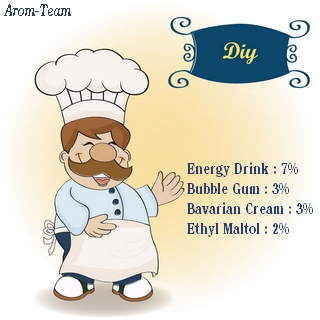 Energy Drink is a Red Bull flavored e juice that is sufficient on its own for its fans but can also be incorporated into elaborate recipes, pairing well with blueberry, apple or kiwi. What dosage for this Capella flavor ? How long to steep for the best Red Bull flavored vape juice ? Is this aroma only intended for electronic cigarettes ? Capella flavors are quality food flavors. So you can use them in pastry, yogurts, drinks, etc. 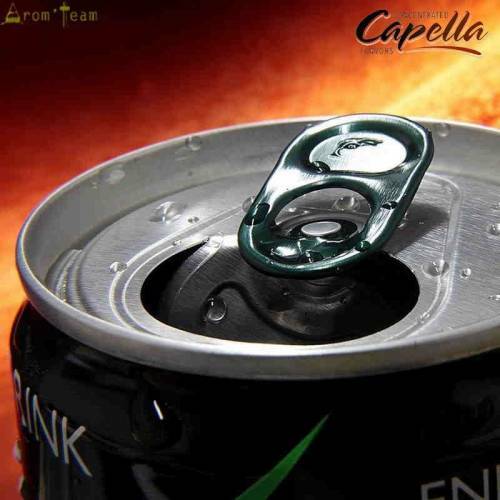 Capella flavoring are well known to diyers. These are known as safe manufacturing and liquid values, the highest quality flavors. Over the years, this manufacturer, which primarily targeted its products to drinks and desserts, adapted them to vape and purified the flavors of some harmful substances to inhalation use. This is why you will find many flavors in version 2. Despite a wide catalog with fruit flavors, drinks flavors, gourmet aromas and even some tobacco flavors (to disappear), some flavors are favored by diyers. So, we reveal here a list of Capella Flavor Drops inescapable e juice flavoring that are popular in the community. Strawberries and Cream: a bit like the Sweet Strawberry flavor, these strawberries with whipped cream finish by completing many gourmet recipes. Excellent vape flavor concentrate! Of course, the other flavors emanating from Capella Flavors have the same quality and deserve just as much as these, this is only a simple top 10. We could have cited as well the sublime Capella Graham Cracker flavor and so many others who made our happiness and will make yours. 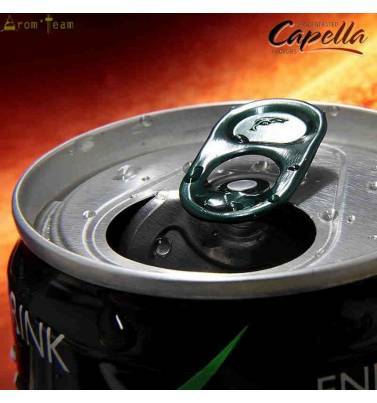 Follow the reviews and you will find your best Capella flavor !